Gospel saxophonist Harold Rayford once said that jazz and gospel are first cousins. 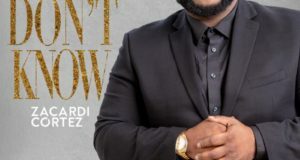 If that’s so, New Orleans produced some of the first cousins’ earliest progenitors—from King Oliver and Louis Armstrong to Mahalia Jackson and Bessie Griffin. 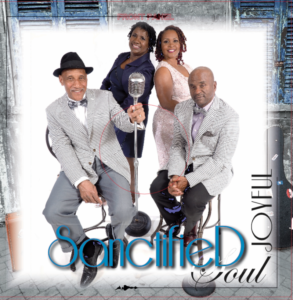 There’s also the New Orleans ensemble Sanctified Soul, which offers helpings of jazz and gospel, as well as soul and R&B. 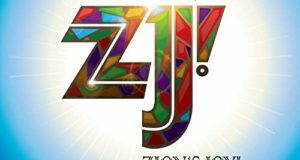 The group lives up to its name on its latest album, Joyful, and the collection of gospel, inspirational, and classic jazz songs lives up to the album title (which, based on lyric content, could easily have been Hopeful). 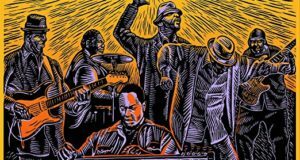 The opening track, “If U Want to Praise Him,” sets the mood with its gospel lyrics, rhythm section, and Earth Wind & Fire-style funky brass, courtesy of the New Orleans Horns. The album’s finest track, “I’ve Got that Fiya,” is a gospel blues with a Holiness focus on baptism by the Holy Spirit. Of the ten cuts, it best blends the vernacular with the sacred. Non-gospel songs like “Do You Know What It Means to Miss New Orleans” (with a dreamy trumpet solo) are included here, while others, like the Louis Armstrong favorite “What a Wonderful World” and an acoustic version of Leonard Cohen’s “Hallelujah,” have spiritual sensibility. For me, though, the breathtaking instrumental version of “Hallelujah” by fellow New Orleans duo Tanya and Dorise best captures the melancholy and hopeful spirit of Cohen’s original than any other recorded version. “I’ve Got a Feelin’” employs brassy funk to ruminate on how individuals can use their voice to bring “love, joy, peace, and understanding” to this “sad world” in which we live. It rolls along like a slow-motion Sly and the Family Stone workout. Another track like “I’ve Got a Feelin’” is “Let’s Get Together.” Not the Al Green love masterpiece, this one seeks brotherhood as a way to overcome strife. The melodic “B.S.U.R.” (aka Be As You Are) declares we will find our star by being ourselves instead of trying to be like, sound like, or look like someone else.